Providing a structured programme for teaching literacy to children and young people with dyslexia and specific literacy difficulties, this book makes explicit links between theory, research and practice. It offers a structured, cumulative, multi-sensory teaching programme for learners with dyslexia, and draws attention to some of the wider aspects of the learning styles and differences of learners with dyslexia such as memory, information processing and automaticity. - ideas for working with young children. 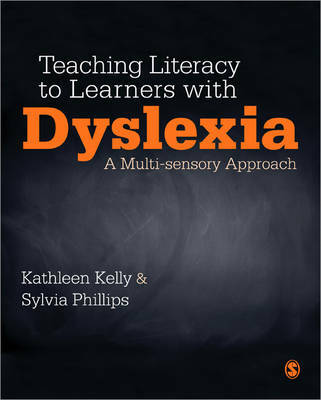 Designed to help support any learner, from ages five to 18, with dyslexia or specific learning difficulties, the authors encourage the use of the programme as part of everyday teaching to not only develop literacy but to put dyslexic learners in control of their own learning. There are tried and tested strategies and activities provided, which the reader can use to support their literacy work. Particularly useful for teachers working with learners who have special educational needs and specifically those with dyslexia, this book contains everything you need to help improve and develop the literacy skills of the learners in your setting. NEW by Kathleen Kelly and Sylvia Phillips!